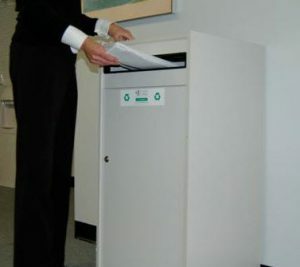 Document Destruction & Shredding Services - Records Management | Reebie Storage and Moving Co.
Reebie Databank’s barcoding system will maintain your records retention schedule by tracking destruction dates in our computer system. Upon request and completion of requirements for destruction your documents will be shred by Shred-it a NAID AAA certified shredding partner and a certificate of destruction can be provided. 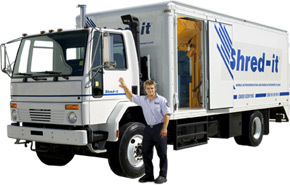 Should you need additional on-site shredding we can supply toters and schedule that service for your office. All shredded material is 100% recycled. You can rest assured that your sensitive documents will never come back to haunt you – but they do have an afterlife. They are recycled, part of our promise – and yours to the future of our planet. At the end of the year, you’ll receive a document showing how many trees your company has saved through its high security document shredding and waste paper recycling. Contact Reebie today for all of your Document Destruction & Shredding Services!